The Nike Shield Women&apos;s Running Jacket combines rain- and wind-resistant fabric with ventilation zones where you heat up the most. 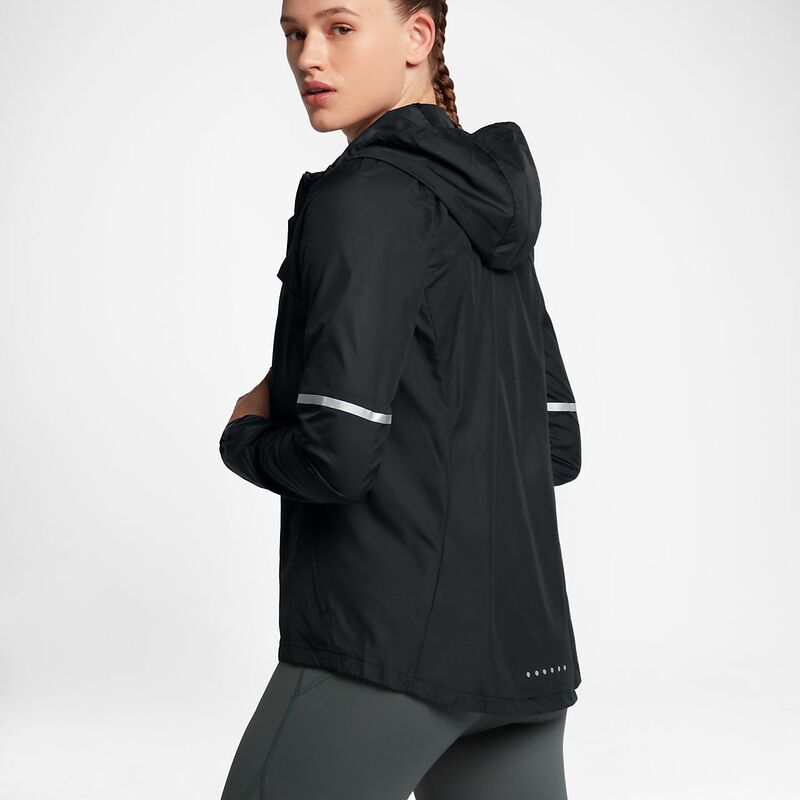 Nike Shield fabric resists rain and wind, so you can resist the temptation to stay in and skip your run. Vents on the chest and upper back let air flow in and body heat escape to help keep you from overheating. The hood is made for running, but convenient all day. A stretchy cord with a toggle fastener can be pulled and secured, keeping the hood in place as you move forwards and turn your head from side to side. Have your say. Be the first to review the Nike Shield.